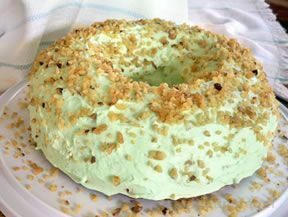 A light and creamy dessert, perfect for St. Patrick's day. This dessert keeps in the freezer so it can be made in advance. Combine the crushed graham crackers, sugar and butter in a 9x13 inch pan. Press to create a crust. 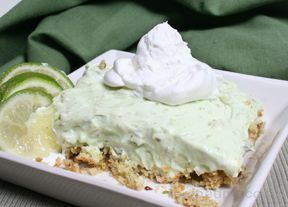 Combine the pudding, milk and ice cream with a hand mixer; then spread the mixture on top of the graham cracker crust. 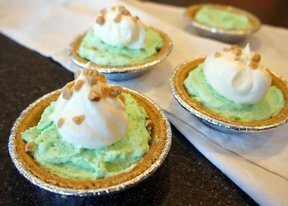 Spread on the whipped topping and sprinkle with toffee bits. 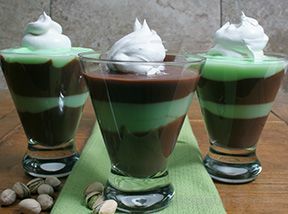 "This dessert was perfect for St. Patty's Day. So EASY to make up, too!"